Middle Eastern Fish and Chips. Recreate a British favourite with a twist from Middle Eastern cuisine. Add some of our Advieh Spice Blend to create a totally different flavour. This recipe is much healthier than a takeaway and takes a short amount of time to prepare and cook. Combine the sliced potatoes in a bowl with some oil and Advieh spice. In another bowl place all the dry ingredients for the batter and mix well. Make a well and slowly add the milk and water, whisking to avoid lumps. When ready, heat your chosen oil in a pan. 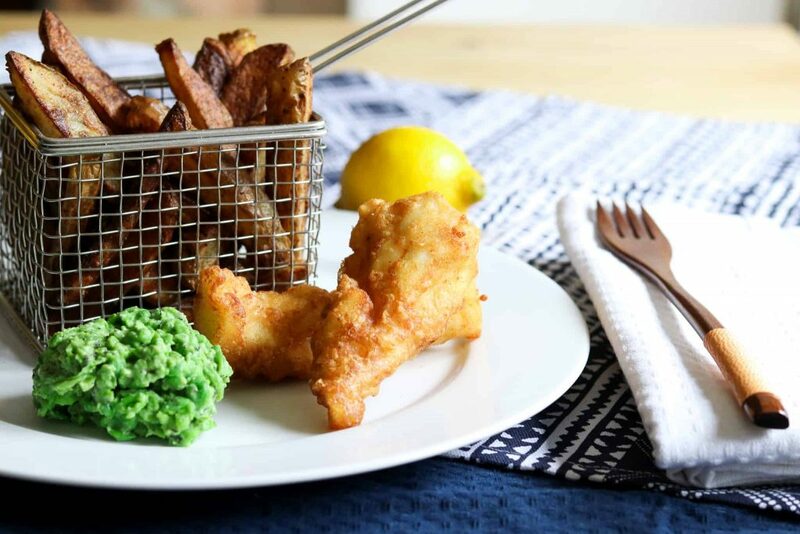 Place fish fillets in the batter, lift each piece individually to drain off any excess. Carefully place the fillet in the hot oil and cook for approximately 4/5 minutes. Continue until all the fillets are cooked. Mash the cooked peas in a bowl, add in the Creme Fraiche to your desired consistency,add the mint sauce and mix well.